It is no secret that I am a huge fan of Barefoot Books! I love that these award-winning children’s books are always so unique, creative and really stir the imagination with wonderful stories. My children are ages 3, 4 and 6 and are learning their favorite Mother Goose rhymes so I was very interested in reading aloud Clare Beatons’s Mother Goose Remembers. This beautifully presented hardcover picture book even includes a sing along CD. I really appreciated reading the introduction to this book which gives adults a “behind the scenes” peek at the history of Mother Goose….it was quite interesting. The illustrations are simply breathtaking works of art with Clare Beaton’s use of felt, antique and bric-a-brac. In fact, my tactile son kept trying to touch each page and was surprised because he expected it to feel like the texture of felt, it was that realistic. My children also love to search and find Mother Goose’s feathers which are hidden in each page……who will be the first to find it? Each page and story opens up a wonderful world of discussion and interactions as we explored Mother Goose rhymes. We enjoy curling up together under the covers every evening and reading several pages together from this book. During the day, we listen to the fun song CD and sing and dance to our favorite rhymes. Clare Beatons’s Mother Goose Remembers would make a wonderful addition to any toddlers and preschool age children’s book and song collection. 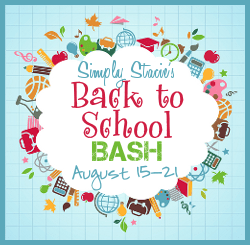 It is a fantastic gift idea and would be a great choice for a little one who is heading off to school for the first time. 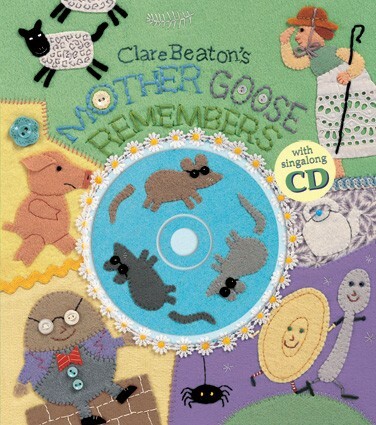 You can purchase Clare Beatons’s Mother Goose Remembers (hardcover book & CD) for only $19.99 by visiting the Barefoot Books website. The Barefoot Book of Animal Tales looks very interesting! I like the “Barefoot Book of Classic Poems”! I like the The Real Princess. I like The Barefoot Book of Princesses!